The Paint Around Gala & Auction is a biennial event benefitting the students of Art, Art Education and Dance at Florida State University. The event highlights our outstanding artistic resources for a night of unique entertainment. This year’s gala will be held on Saturday, March 4 at 7:00 PM at the LEED-certified William Johnston Building. All proceeds from the evening will help to fund student scholarships and travel grants for research and conferences. Tickets for the event may purchased at tickets.fsu.edu. Sponsorships are also available, starting at just $250 and include a VIP reception with the artists, reserved parking and reserved seating. Contact Events & Outreach Coordinator Bobbie Fernandez at (850) 645-8283 or bfernandez@fsu.edu for details. 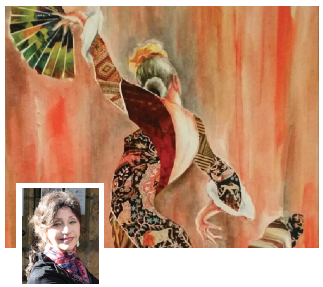 MARINA BROWN is a figurative watercolorist and portrait painter who uses her background in dance and music, as well as inspiration from her travels, to create works filled with movement and life. Fascinated with the color of skin, the structure of the human form and the rhythms that can be evoked only by watercolor, her paintings retain a lightness not found in other mediums. Each painting tells a short story, which seems appropriate given that Brown is also an author and novelist. Brown has exhibited her work in juried competitions across Florida, writes for Tallahassee Magazine and is a Board member for FSU Friends of Dance. KATHLEEN CARTER is a local artist and art educator. She majored in art at Birmingham-Southern College in Birmingham, Alabama and earned her MA in Art Education from Florida State University, graduating with honors for both degrees. She has taught grades Kindergarten through college and currently owns Starry Night Studio, a teaching studio for children and adults. 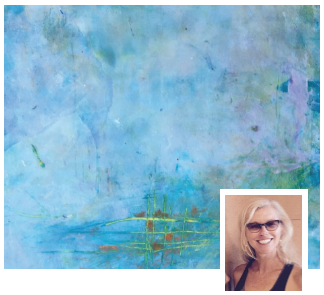 Kathleen’s remarkable talent can be seen in her beautiful work, painted with oils in an expressionistic style focusing on rich saturated colors. Her painting interests and styles have evolved from realism, based on photographs, to abstract interpretations. The excitement of exploring new ideas keeps her in perpetual pursuit of expression. 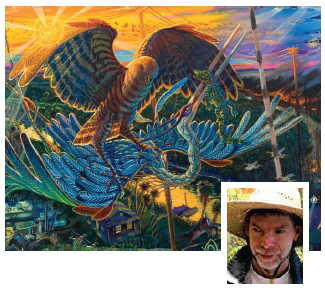 MARK MESSERSMITH is a Professor of Art at Florida State University where he has taught since 1985. When Mark Messersmith moved to northern Florida in 1985, he was struck by a Panhandle wilderness that was foreign to his childhood experience of lawns and squirrels in St. Louis. In his lushly-colored paintings, Messersmith creates dense narratives packed with animals, plants and insects that express his concern for the shrinking world they inhabit. His work is represented in the collections of the Tyler Museum of Art, Appleton Museum of Art, Jacksonville Museum of Modern Art and Huntsville Museum of Art. In 2006, he was awarded the prestigious Joan Mitchell Foundation Award in Painting. 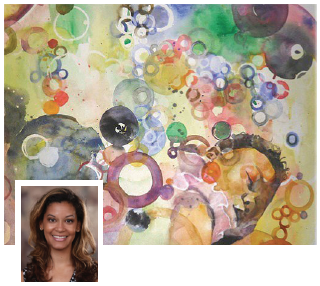 DR. AUDRA PITTMAN works in a variety of mediums and her preferred subjects include children’s portraiture and abstract expression. Pittman holds a BFA in Illustration, an MA in Teaching and a PhD in Art Education/Arts Administration and Art Museum Education. She has taught at Lander University and was former Chair of the Department of Professional Education at Savannah College of Art and Design. Audra is the owner and founder of Suite P Creative Studio in Tallahassee and is the Executive Director of COCA. An active volunteer, Pittman recently served as Vice-Chair of the Cultural Plan Review Committee, and currently she serves as a member of the Dean’s Advisory Board for the FSU College of Fine Arts. 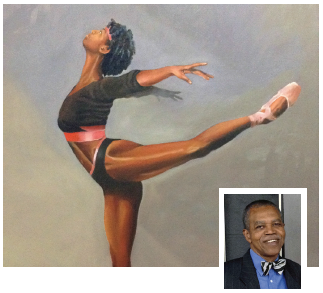 ELUSTER RICHARDSON was born and raised in Tallahassee and began painting as a child. In his works, Richardson takes special interest in the depiction of historic personages and sites from the North Florida region. He has exhibited in the Bethune-Cookman College fine art gallery in Daytona Beach as well as the Zora Neale Hurston Museum in Eatonville, Florida, and his works have won numerous awards. In 1998, Richardson was the Visual Arts Director for Tallahassee’s Harambee Festival. Currently, he is the Artist-in-Residence for the Riley House Museum and Resource Center of African-American History and Culture, which is the home of a collection of historical works by Richardson.